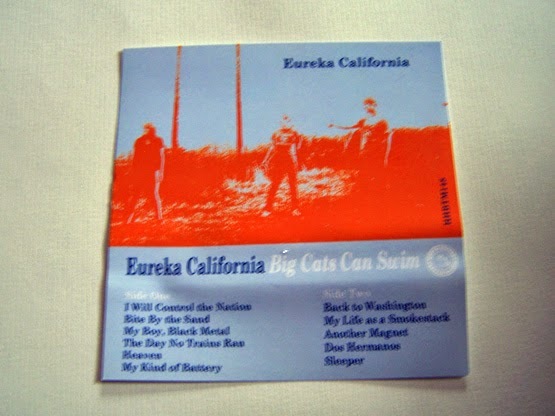 Amidst the Buddy Holly driven guitar riffs that bring out some garage sounds on Eureka California’s “Big Cats Can Swim” cassette, the overall tone of rock n roll here makes me wonder if there is such a thing as “post twee”. 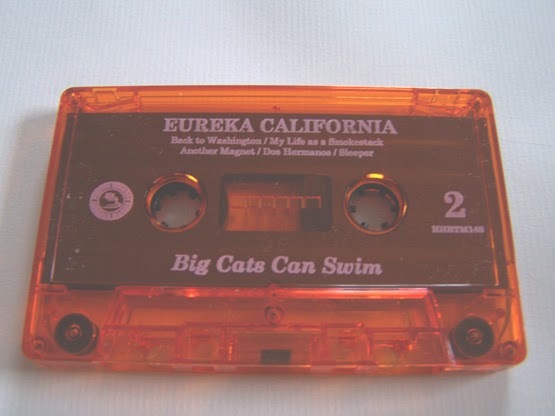 This isn’t really twee so much as something that might come after it, so if this genre doesn’t exist yet, then perhaps Eureka California has stumbled upon it. 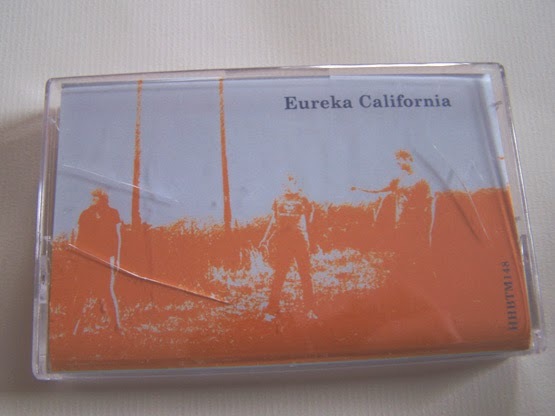 I assume that Eureka California, as a band name, is in reference to the gold rush there and since my favorite football team from my youth is the San Francisco 49ers (Though I’m not big into football by any means), this band had me from the start. Also, I really like cats. 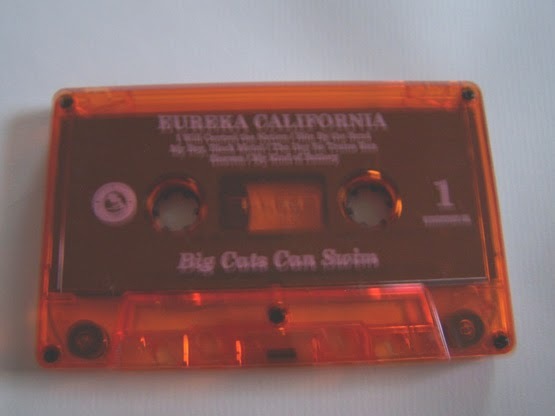 One of the bands that came to mind when listening to this is Colonel Knowledge and Lickity Splits, and I haven’t really thought about that name in such a long time that this music must be powerful to evoke such a memory in me. It’s one of those scenarios where if you told me that this band had former members of that band and this is what they were doing now I’d be inclined to believe you. This does get heavier in the rock n roll sense, but also can project feelings of Lou Reed and overall just has some noteworthy lyrics which is and of itself a reason to experience this. 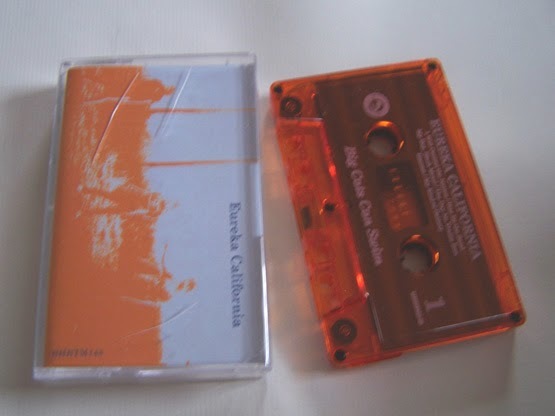 There is a label that exists which produces both vinyl and cassettes, and while I won’t name them by names I will say that they produce a lot of bands that sound pretty generic.